I know with it being the first of December everyone is busy prepping for the upcoming Christmas Holiday. 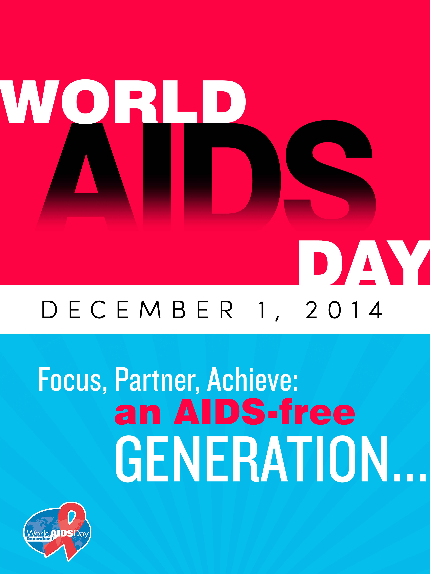 But it’s important that we don’t forget an often forgotten about group of people, those with HIV/AIDS. By bringing attention to AIDS there is hope that one day that the mortalties and impact of the disease can be lessened or completely eradicated. here are some facts about AIDS. At least 2.8 million people will have died of AIDS this year alone (that’s over 5 people every minute). Young people (15-24 years old) account for half of all new HIV infections worldwide – more than 6,000 become infected with HIV every day. About 40.3 million people will be living with HIV/AIDS by the end of this year. By the end of this year women will account for 46% of all adults living with HIV worldwide, and for 57% of the adults living with it in sub-Saharan Africa. For ideas on ways you can spread the message about HIV/AIDS to your social circle.